Omega Fortin Firmware update tool. Part worked as described. shipped very fast!!! Fast shipping and good price! Purchased this for a 2015 Expedition EL XLT. 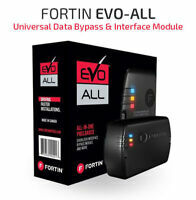 The FORT1 unit is the EVO ALL unit complete with the T-harness. The T-harness is relatively easy to connect under steering wheel, but do need to pull off lower dash panels for access. T-harness does need to connect to the EVO ALL larger white modular plug (3 wires), plus the specifid valet switch to ground; my install has an OEM hood trigger. I opted for the REVO4 RF upgrade option for extra distance. The lock and unlock wire connections I found over in passenger kick panel, as believe is the parking light wire; not behind steering wheel as in Fortin 34421 image. Decided not to use parking light feature (so far) since I use the headlight auto setting all the time and did cook headlight switch initially searching for parking connection. When my truck starts, if dark, headlights and parking lights come on. No lights if daylight. Anderson Electronics pre-programmed unit and shipped out to me. Scott has been good with email questions, but can take a couple of days for response. I did have an issue with initial unit sent (may have mis-wired), and he replaced under warranty. The Fortin EVO ALL with the Ford specific T-harness is an excellent alternative to an OEM remote start, at a fraction of the price. Installation is not complicated if you are accustomed to working with automotive wiring. The instructions were slightly misleading for the '14 Mustang, as they direct you to make some connections to the BCM and say it is located in the drivers side dash. The connections actually need to be made at the Smart Junction Box (SJB) located behind the passenger side kick panel. There are four wires that must be spliced into the cars wiring harness, and several others that may need to be spliced in for different options. The T-harness takes care of everything else. 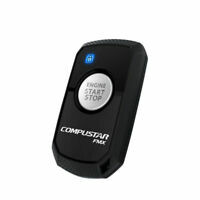 Programming to the vehicle only takes a few minutes and the remote start works very well with the factory remotes. Just push the lock button 3X and don't worry about climbing into a freezing car ever again! 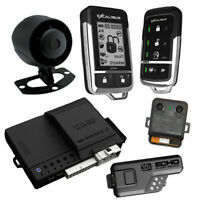 For the most part, it is fairly easy to install. You will need extra parts (a hood pin and/or valet switch) to disable the remote start when taking your vehicle to the shop. And, at least for me, getting the steering cover off was nearly impossible (2010 ford mustang) and I am not quite sure where the wire is for the door pin. This is needed so the starter can simulate a door opening to shut off the accessory power to the radio. And My OBD wires were brittle an tiny. All in all it idnt take too long and works great! !